Museum 4 Watton started with this; the publicity surrounding the discovery of an Inhumation which is thought to be Roman, on a building site on Norwich Road. Watton is steeped in history. After all, it has been around for well over a thousand years. But who knows more than that? We think our history should be explored and recorded for future generations. A lot has been said about the present state of our town as a community, but often no solutions are offered. Much criticism is made of the Council, the people, the shops and developers. But little is done to counter those criticisms. It cannot be denied, though, that Watton has to fight hard to be recognised as a town and community in Breckland. George Freeman, MP, described Watton as “a town on the edge.” However, we do have to do things for ourselves, as well as relying on others. One of the facilities which are obvious in other towns is recognition of the history of that area and community, to this end, it is noticeable that sometimes Watton falls down on the argument of Civic Pride. An old-fashioned phrase I am afraid, but apt. The Christmas Lights can be hailed as a success in terms of taking pride in our town as are the baskets tubs and trees around town. It is proposed that perhaps we could go further and cement the foundations of a Civic Pride movement by looking at creating a Museum for the Town to celebrate its history. We would emphasise the town, including RAF Watton, not exclusively the connection with the RAF. It is important to value the past in order to value the future. Our children need roots and a sense of belonging – even if they don’t realise it yet! A meeting place recording the history of Watton would aid them in their understanding of how the town has developed and how we all make a contribution to that development, however small that be. We are Members of Heritage Network Norfolk and the Association of Independent museums and have visited and talked to many of the accredited museums and it is this that encouraged us to create a Museum for Watton In December 2015 we were given CIO status by the Charity Commission and in May 2016 Watton Town Council voted to support, in principle, a museum for the town and in November 2016 drew up a lease to enable us to use part of Wayland Hall to house the Museum. 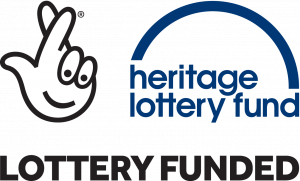 The Trustees worked hard to achieve funding and launched a successful bid with the Heritage Lottery Fund to help finance the project with the doors to the Museum being opened to the Public in March 2018. Located on two floors of Wayland Hall (there’s a stair lift for those with mobility issues) the number of artefacts continues to grow and by the time of our first anniversary more than 5000 visitors had passed through our doors!